We’ve discovered a new law of science: the Copernicus Effect. Copernicus was a Renaissance man in the mould of Leonardo da Vinci. He was a mathematician, astronomer, physician, polyglot, classical scholar, translator, artist, cleric, jurist, governor, military leader, diplomat and economist. The observations which led to his literally altering the traditional view of the world’s place in the universe, were simply a hobby. He’s a man the Poles can be justifiably proud of. And what has that got to do with Polish pancakes? Well they are, in my view, Renaissance food. Your pancake can be eaten for breakfast, lunch or dinner. It can be savoury or sweet. If you roll it, it can be carried about. Folded in a rectangle fashion it can be eaten on a plate. And, with a flattened cone approach, it can put on its best frock and dress up nice if required. I don’t think it’s a step too far to describe it as the perfect food type known to human-kind. But I do have a bit of history with the old pancake, don’t I Mum? (Insert Yorkshire accent here:) Back when I were but a lad, my family had “pancakes” for dinner most Sunday nights. I grew up and came to believe that what we’d been eating were crepes. Not so it turns out, they were in fact “nalesniki” – and no less tasty for it. Now this is one of the things it’s important to understand. 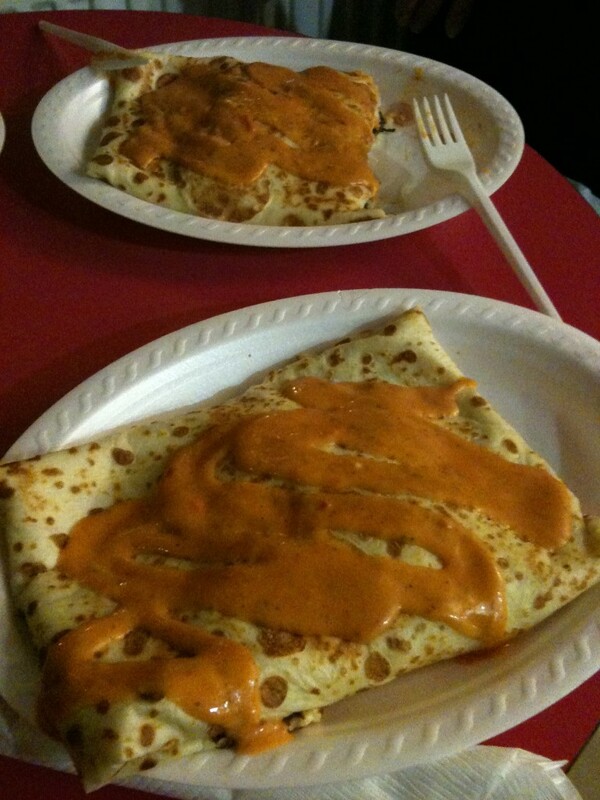 Your basic nalesniki or Polish pancake is not, definitely not, a namby-pamby crepe. There are similarities to be sure; but your nalesniki is much more robust than your crepe. It’s the sort of food you eat while riding across endless steppes fighting off biting winds and marauding Russians. 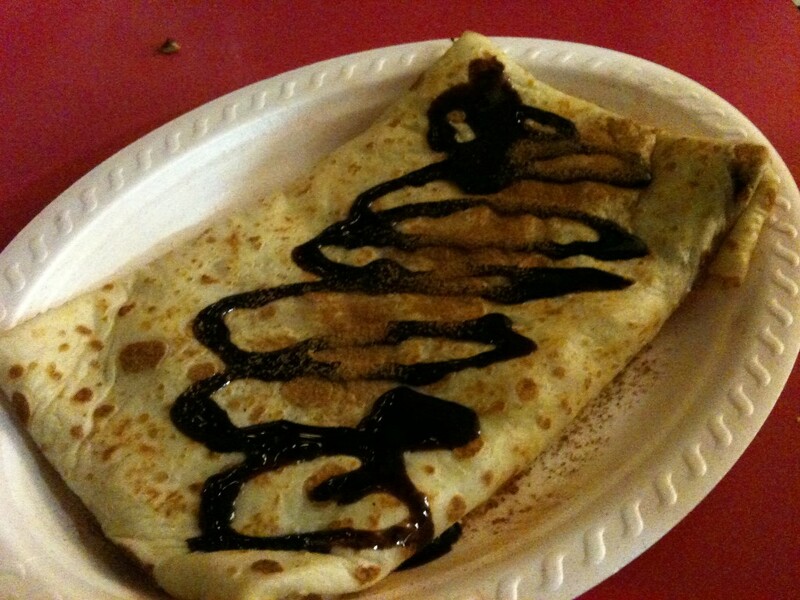 Crepes are more your discuss philosophy and write impenetrable existential novels type of food. And puh-lease, do not even go near the fluffy Frisbees Americans call pancakes. Those are entirely different things again. Sweet to be sure, but they completely lack the versatility and overall tastiness of the nalesniki. Also that whole stacking approach leads inevitably to excess; once you start building a tower, you’re always going to have to go one better than the guy on the next table. Sadly, in spite of extensive and in-depth research over the last three minutes, I have failed to find any definitive connection between Copernicus and nalesniki. There is one website that suggests he made his telescope out of an artfully rolled pancake, and while I’m not prepared to discount that entirely on artistic grounds it’s otherwise just plain silly. A nalesniki telescope!? There’s no way the man would have spent every night sitting staring at the stars without devouring his optical instrument. Copernicus may have got things slightly wrong – while working out that the Earth was not the centre of the universe he mistakenly stuck the Sun there instead. Regardless, by relying on observation rather than belief he’s widely held to have begun the scientific revolution. In that spirit, we’ve observed nalesniki for dinner the last two nights. The boys have even inadvertently eaten a range of vegetables while demolishing their pancakes. Our highly scientific observations have confirmed a new scientific principal. The Copernicus Effect states: A food item’s yumminess increases in direct proportion to its proximity to Polish pancakes.